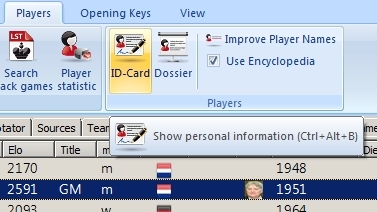 Previously we discovered how to use a ChessBase 11 database’s Player Key to ensure that we’re finding only the games of a particular player (without accidentally getting extra unwanted games by players who have a similar name). But there are other useful functions available in the ChessBase 11 Player Key as well. 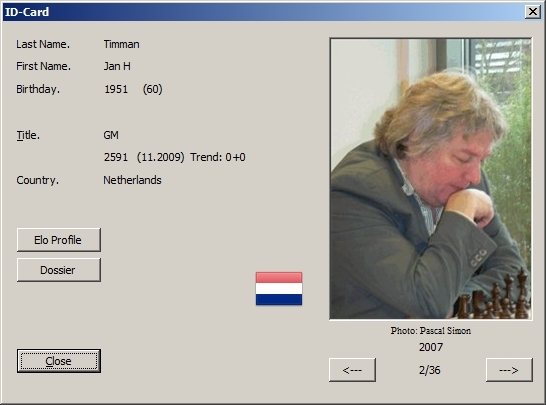 …in which we can see all kinds of interesting and valuable information about the chosen player (in this case, GM Jan Timman of the Netherlands). 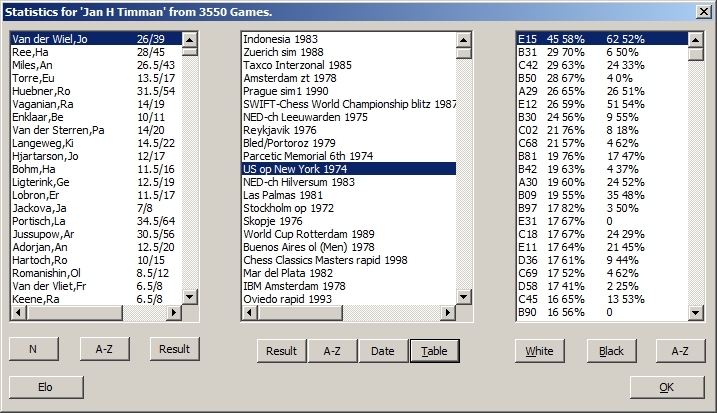 The left-hand pane shows a list of Timman’s opponents; this list can be sorted various ways using the button below the scrollable list. The “A-Z” button sorts the opponents alphabetically, “N” by the number of games Timman played against them, and “Result” by how well (or poorly) Timman fared against a listed player in their contested games. The two columns after an ECO code display the player’s results in that opening as both White (the left column) and Black (the right column). 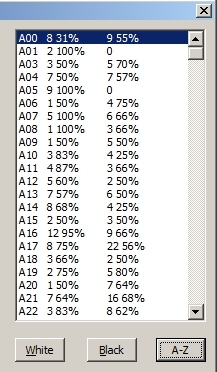 Each column shows the number of games as well as the player’s success in that opening, with the percentage given from the player’s perspective (Example: Timman played 4 games as Black in A06 openings, scoring 75% – and when we check the games we see that he did indeed win three of the four). …all of which is especially useful for writers (like myself) who appreciate quick access to information about a particular chessplayer.